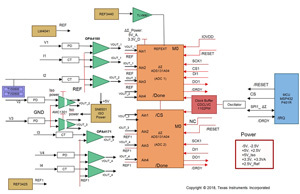 The TIDA-00835 reference design allows for accurate voltage and current measurement using a bipolar input configuration by incorporating a four- channel, 24-bit simultaneously-sampling differential input Delta-Sigma ADC over wide dynamic range. 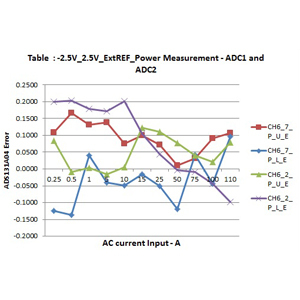 The ADC is configured to measure ±2.5 V bipolar input. 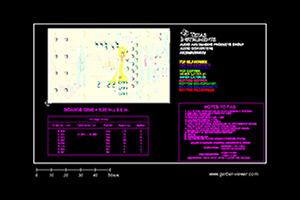 The inputs are scaled to ADC measurement range of ±2.5V using a fixed gain amplifier. This AFE chains two ADCs together using a common external clock to expand the number of input channels to eight while simultaneously sampling all of the input channels. By having more measurement channels per module, overall system cost is reduced.